New Year, New Home: Why is Now the Time to Sell? Some people think homes sell better during the spring and summer months, but when a homebuyer seeks a home, the decision is less about the season and more about his or her needs at the time. In fact, some buyers may be in the market for homes in your area right now because they will relocate to start new jobs at the beginning of the new year. People who retire at the end of a year often look forward to moving to a new locale for a fresh start or to downsize to smaller spaces. These are just some of the reasons you should consider selling now. It is possible to sell your house just after the start of a new year, so if you are ready to put your house on the market, why wait? Consider the following advantages of selling a home now. Drive through neighborhoods during colder months and you may be surprised at the limited number of houses for sale. Many sellers will wait until spring or summer to sell their homes, which gives you an advantage. If you are planning to sell your home, supply and demand will impact how quickly you may be able to sell and for what price. Limited inventory in the real estate market can be a seller’s dream—the lack of competition between buyers means you may be able to sell your home for your asking price or higher. Selling a home during the summer creates extra work because the grass will need to be cut at least once a week. In areas of the country where the weather turns cold, once the first heavy frost occurs, not much is needed to maintain the yard. If this describes where you live, trim shrubs and any other overgrown foliage, and rake and remove leaves. Pressure wash the exterior siding, walkways, and driveways to give the property some winter curb appeal. After you have taken these steps, no major lawn maintenance should be needed until early spring. Once you put your house on the market, you can give daily attention to maintaining a clean, warm, inviting, and clutter-free interior where a buyer can imagine his or her family and belongings in the space. When there are fewer houses on the market, it takes a shorter period of time to process home loans. 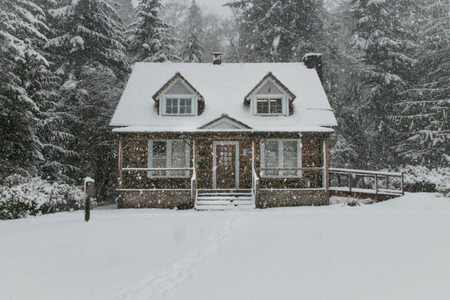 Since there are fewer sellers in the winter, loan officers can devote more attention to each buyer and expedite the loan application once a house is under contract. This makes the process of buying a home quicker and easier, meaning you can collect your money and purchase your own new home if that is your goal. If you are interested in selling or buying a home this season, contact our office today. We can help you make the best decision for you and your living situation.